When I was pregnant I spent so much time trying to get my head around the fact that soon I would actually have a real little baby, I didn’t look ahead and think that one day I’d have a grown up son or daughter. 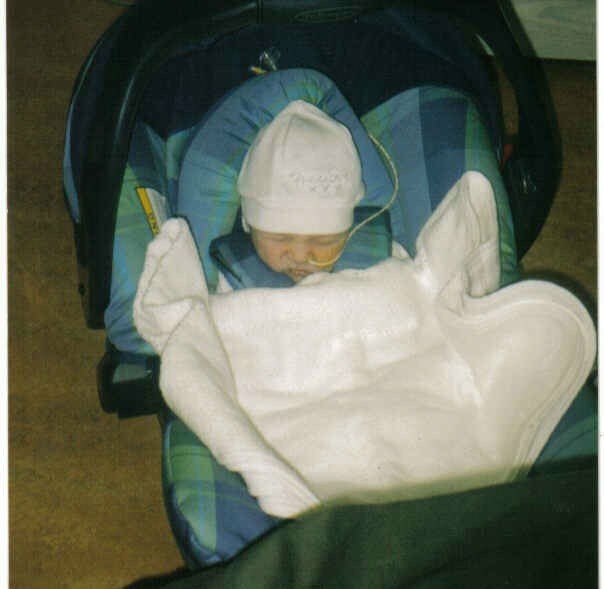 As Danny turns 16, it feels like a miracle especially after all the times we’ve been told to name him quickly and say goodbye. We know we are so lucky. 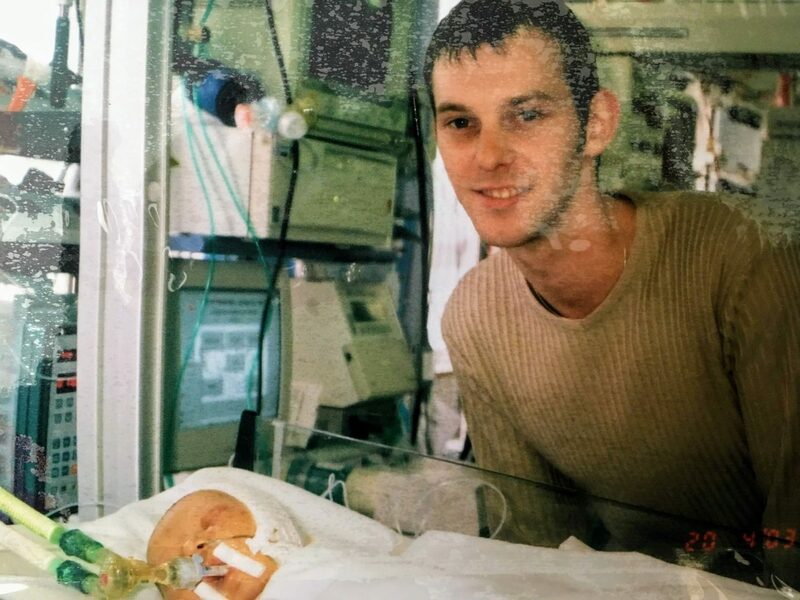 Sadly, over the years we’ve seen lots of children die from his condition (Hypoplastic Left Heart Syndrome) and it still breaks my heart every time. A day never passes when I don’t cry for the children we have lost in our heart community, and if I’m honest for what could have been and also still for the future as it’s unknown for everyone, especially for Danny. We’ve been through so much in the past 16 years and as he’s grown older we also deal with the guilt over what Danny has to live through every day. But we also have lots of positive times, that I try and share here, and as I said we do know that we are so lucky and we are so grateful for all the chances he has been given. Along the way there have been so many people who have helped us. Too many to name everyone in fact so if I miss anyone out I apologise. Starting locally at Withybush Hospital, Pembrokeshire. I can’t remember the names of the staff at the time as our experience there was a whirlwind. But whoever spotted that Danny needed more help and rushed him to the Special Care Baby Unit, thank you. Hypoplastic Left Heart Syndrome is incompatible with life. Without this early intervention Danny would have died. Withybush Hospital couldn’t diagnose or treat Danny but they were able to support him, keep him alive and get him transferred to University Hospital Wales, Cardiff where he could get more help. In SCBU, they took a Polaroid photo of Danny for us . He was all wired up by this point but initially this was the only printed photo that I had of him (it’s hard to believe he was born before digital cameras and camera phones became the norm), so this was the picture I held and treasured and cried tear drops onto, it was the photo I held when I expressed milk for him in the “milking room”. It was all I had and that was down to the quick thinking nurse in SCBU so- thank you. 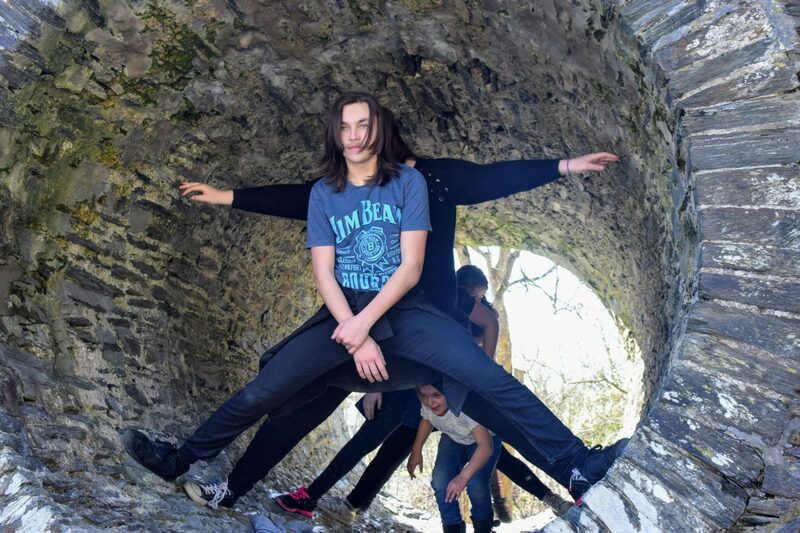 At Withybush we were told we needed to name him quickly, Dave chose his first name, Danny (Daniel), after bass player Danny McCormack and I chose his middle name, David, after my late dad (it’s also a strong family name as it is of course also Danny’s dad and Great Grampy’s name). Danny was already well loved and had been visited by his Nanny, Aunties, Granny, Grampy, Great Aunty, Great Granny and Great Grampy so a huge thank you to them! “Cousin” Vera also snuck into SCBU for a quick visit which cheered us up. If only we knew what was going to happen we would have taken more photos and had more cuddles. As the Withybush team realised we needed to get Danny to Cardiff, I had to discharge myself from hospital and also get to Cardiff. 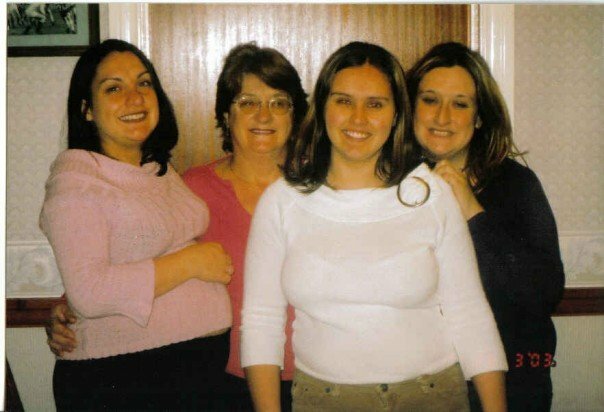 We didn’t even have to ask anyone to take us, there was no question it was just happening, my sister, Jo was driving us there along with my mum and sister Ceri- thank you for being there and arranging that while I must have just sat there shell shocked. Thanks to the Withybush and Cardiff teams for managing the transfer so well- they were amazing. Also thanks to our friend Gareth for trying to come to see us in Withybush- Dave was wheeling me out to our lift at that very moment so it was very rushed but we so appreciated being thought of as suddenly a happy birth was turning into an emergency situation. My family dropped us off at Cardiff, possibly saw Danny (I can’t remember for sure) and headed home. During this time we were given the news of Danny’s diagnosis. 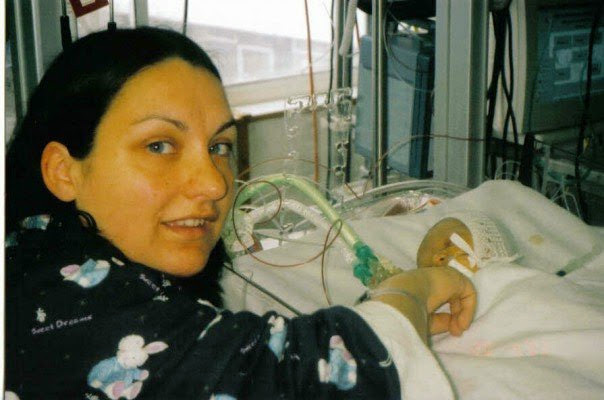 He had a serious heart condition, Hypoplastic left Heart Syndrome. This was incompatible with life. They had put leaflets on the table for us and the only two words Dave and I kept picking out were “will die”. 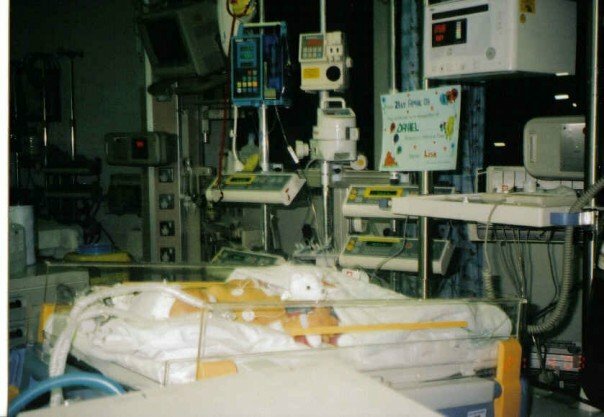 We were given the choice between comfort care (allowing Danny to die painlessly), a heart transplant (but we were warned that it would be impossible to find a heart) or a series of three complex heart operations. 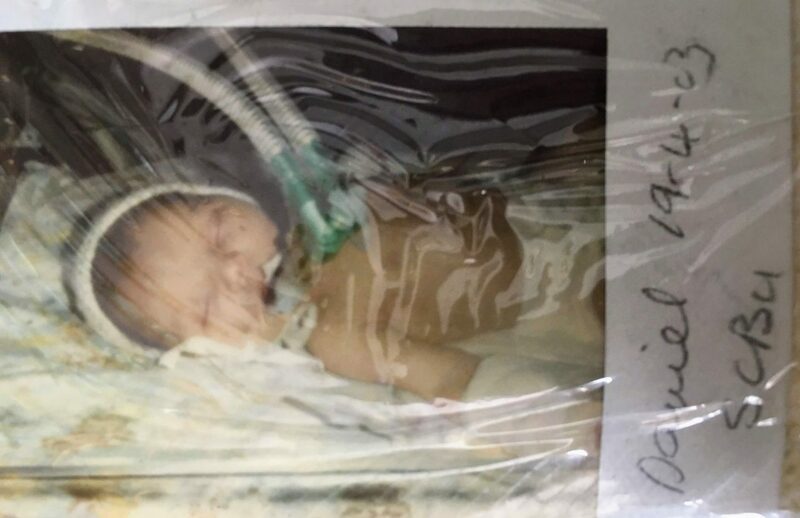 We wanted to give our son a chance of life so we chose the surgery. I remember Dr Obed Onuzo, the Consultant Paediatric Cardiologist, saying that he wasn’t meant to say it but he wanted us to know that he felt we had made the right choice. That really meant a lot so thanks to Dr Onuzo, who we saw a lot of in Danny’s early years and to the other consultant who broke the news to us and to the whole team who looked after us. Dave was allowed to stay on a mattress on the floor in my room as he was so far from home, people really went out of their way for us. I have to say a huge thank you of course to Dave. He was going through all this himself but while I was still recovering from an emergency caesarian all of the hard work was left to him. He had to ring everyone to tell them Danny had a serious life threatening condition and I know how hard it was for him. I was looked after in a maternity bubble but Dave had to be strong and practical. My own family were very nearly close to home when Dave rang them with the news. 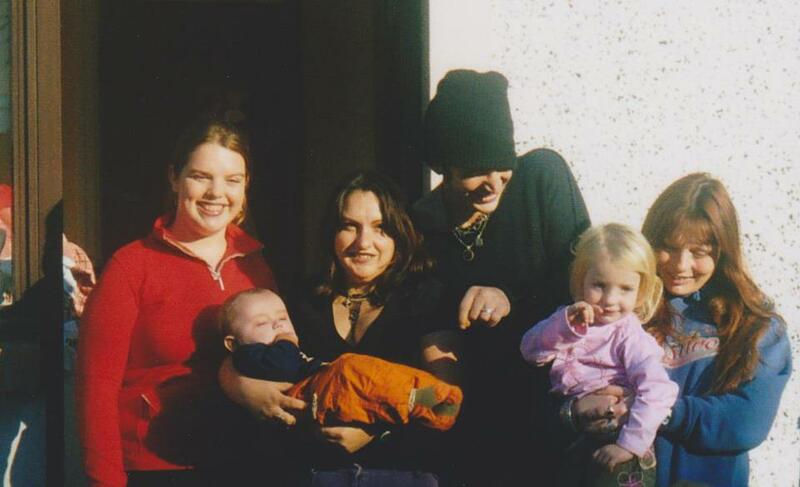 As we would now have to be transferred to Birmingham our family came up to see us and say goodbye to us in Cardiff. Thanks so much to them all for coming it was amazing to have that support. 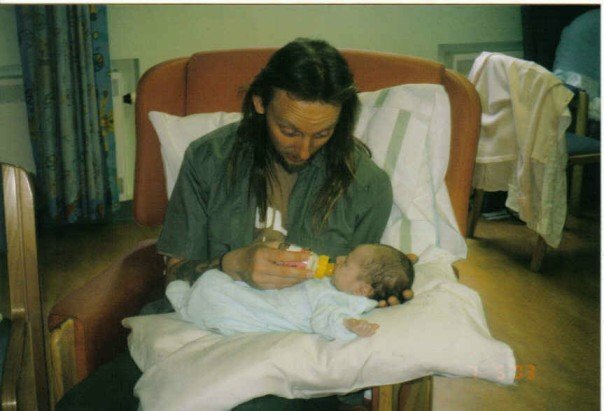 As Dave’s brother, “Uncle” Andy lived in Bristol, he was one of the first to arrive and got to meet his nephew for the first time. Once all the rest of the family arrived I was overcome and initially couldn’t see or talk to them. After some time with my mum I managed to get the strength to see everyone. Seeing how upset Danny’s Great Grampy was just bought the seriousness of the situation home. But we were so grateful to see my mum, “Aunty” Jo, “Aunty” Ceri, Dave’s mum and dad, Granny and Grampy and Andy once more. Again, Jo was going to drive us to Birmingham for which we’re always grateful. During this difficult time, there were some funny moments, wandering around the hospital getting lost together and eating together. It was great to have some “normal” time for a while. On a practical level, some family gave us cash to get us through the upcoming weeks away, thanks to Uncle Gary and Aunty Janet who I remember passed some to Dave. Dave’s then bosses also told him to not worry about work until Danny was well and paid him- thanks Meurig, the late David and Cloudy. So we were off to Birmingham Children’s Hospital. As Danny was transported in the ambulance, Jo drove us, along with mum and Ceri and we will always remember getting caught up in a parade on the way into Birmingham! Once we arrived at Birmingham everything seemed so much more positive. Here they only saw seriously ill babies and were used to seeing Hypoplastic Left Heart Syndrome babies and children. In fact they pointed some out to us in PICU. They were so welcoming and made Danny comfortable while we waited for his operation to take place after the Bank Holiday. If you’re going to give birth to a seriously ill baby it’s best not to do it over a Bank Holiday- Danny was born on Good Friday! Of course we had nowhere to stay. The PICU team put up some camp beds in a side room of PICU. It was so painful to sleep in after a c-section and even worse to try and get up off the next day, we were kept awake all night by the sounds of all the intensive care machines but I remember feeling a huge comfort that we were just next door to Danny and I actually felt relieved for that one night knowing he was in great hands. We are so grateful to everyone at Birmingham Children’s Hospital, the staff were amazing. 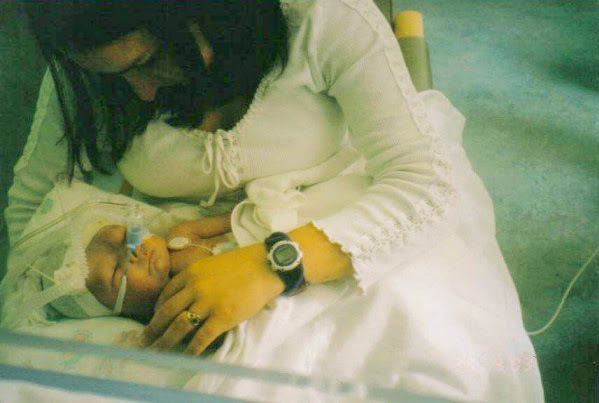 We spent day in, day out with the PICU nurses and staff and there are too many to name and thank, but I remember his first nurse Lisa was absolutely lovely. Special thanks to Dr Oliver Stumper, he met Danny at two days old and is his cardiologist to this day. Danny was operated on by the amazing David Barron and we will always be forever grateful for him for saving Danny’s life. In the early days, they used to go to the Little Hearts Matter events with their own families so it was lovely to see them socially too. 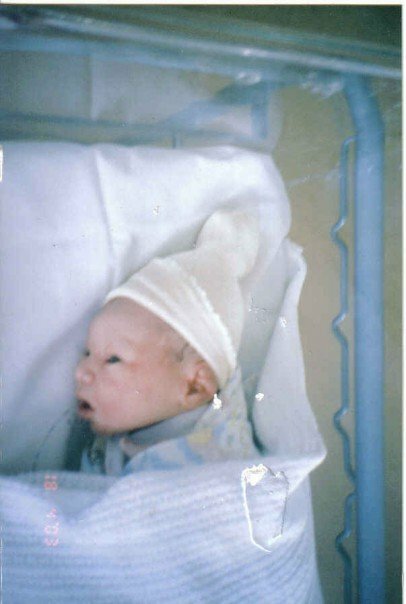 Danny’s first operation was Stage 1- the Norwood and he had the modified Sano-Brawn modification. 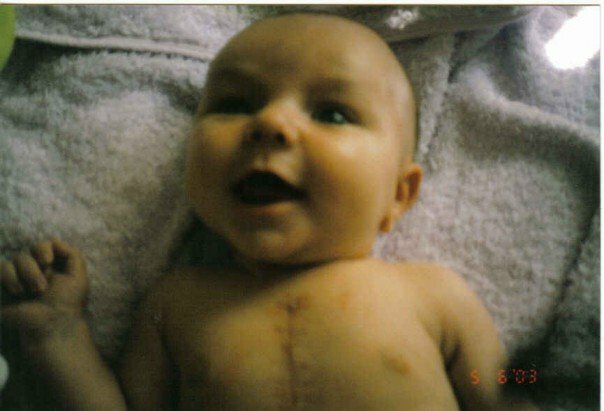 We will always be grateful to Mr William Brawn for pioneering this treatment and giving children with this condition an even greater chance. Brawn has retired but we saw him recently at the last LHM Open Day- thank you Mr William Brawn. 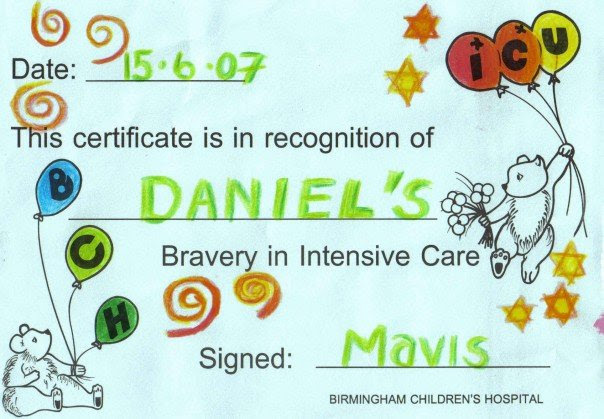 Eventually we were given parent accommodation at Birmingham Children’s Hospital. Again we were so grateful to this. For myself, I remember thinking how lovely it was to have a room in which I could cry in private. We met another Hypoplastic Left Heart Syndrome family- another newborn. Over the years we’ve lost touch but thank you to Darren, Rachel and Frankie for that early friendship and support. We remained “penpals” for the first few years post hospital and it was lovely to have someone in a similar situation to write to. At BCH we were also introduced to a wonderful Cardiac Liaison Nurse, Jane. She was Welsh and hearing her accent made me feel homesick. She was so helpful, friendly and reassuring during our time there. She eventually left that role but one day we bumped into her at Manor Park during a day out which was absolutely lovely! It was great to be able to thank her for her help once more and show her how well Danny was doing. Jane gave us a folder and told us about a charity called “Left Heart Matters” (now Little Heart Matters). We went to the information room, logged on and joined the message boards. There we met other members of the charity who have remained life long friends. We met families who had older children, families who had tragically lost children. families with babies and couples with an antenatal diagnosis of HLHS. One such family was the Turners. 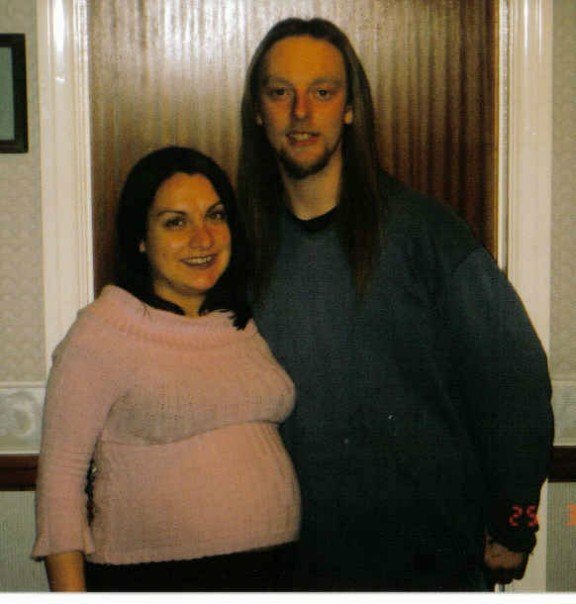 It’s funny to look back and realise we were friends before their son, Charlie was even born. We don’t meet up enough and we don’t talk every day but if I ever need to ask a question or to off load any worries I know that I can talk to Alison, as I hope she knows she can with me, so thank you to the Turners! Danny has happy memories with Charlie too! I expect I spent every day on those LHM forums in the early days and since things have progressed and we’ve moved to Facebook groups I still spend every day connecting in some way with my LHM family. At some points in our life we rely on the support more and at other times we’re able to support others. But they’re always there. At Birmingham, Danny’s operation was a success but it takes a few weeks of recovery to see how the babies get on. One day while we were sitting in PICU next to baby Danny as we did all day, every day, we had a surprise. When the security door bell would ring our eyes would naturally glance at the CCTV screen. We looked one day and saw a huge gorilla teddy. I remember Dave saying I think it’s Johnny! We looked again and sure enough it was our friends, Johnny with a huge gorilla soft toy, with Cloudy, Sue and a young Tegan. We were so shocked and also so touched that they had come all that way to visit us. Thanks so much for doing that- we’ll always be grateful! We tried to invite them to our accommodation for a coffee but we got thrown out as no guests were allowed! I can understand the rules but it was such a shame when we were so far away from home with nowhere to see our friends. They invited us out to eat and I remember Dave was excited at the prospect of going outside the hospital for a break, bless him. In all honesty we did need it, but I just had a feeling that we couldn’t leave the hospital. Dave wouldn’t go without me as I was still relying on him a lot during this time so we stayed in. We left Danny and went to bed. Shortly afterwards there was urgent knocking on our door. Dave opened the door a little, it was staff from the ward, we had to go with them and see Danny straight away, things weren’t looking good. Oh it was horrible. We were half asleep, now in shock, trying to quickly get decent/dressed to go back to PICU. I think Dave got dressed and I put my dressing gown on. We hurried over, were taken to the seats outside the quiet room and told to wait. The consultants were all doing their best for Danny so there was nobody available to explain what was going on for ages. That time sat there waiting was awful. We just sat there, occasionally looking at each other, wondering was this it? We were so relieved when they told us Danny was going to be okay. As his sedation was wearing off he had pulled out a wire which caused internal bleeding resulting in him struggling. After draining away the blood and sedating him again he was now stable. We could go back to bed once more- as if we could sleep after that worry, but what a relief he was going to be okay. As Danny recovered we got to do more with him. His “cares” were sterilising his eyes and moisturising his lips etc. There was no first baby bath to look forward to. One day, when Danny was 11 days old, we were asked if we’d like to cuddle him. It was like a dream come true to be allowed to hold him after all this time. I was crying as I took the first photo of Dave hugging him as it was a momentous occasion. The reality of the situation wasn’t as easy. There were leads getting tangled everywhere- we had to be careful not to pull on any. He cried lots being taken out of the warm, heated coat with his oxygen etc. His chest had only just been closed so we had to be so careful and I’m sure he was in a lot of pain, bless him. But for the bonding process it was so important. My poor baby had already missed weeks of natural feeding and cuddles. Whoever the PICU nurses were on duty that day, thanks for allowing us those precious cuddles. We spent all our time with Danny when he was on PICU. Staff had warned us to rest as we had have to be more hands on once he was on the ward but it’s very hard to keep away from your own baby. Soon we were on the ward and we were to discover that yes it is hard work, you can’t leave your baby at all. You have to tag team to eat and pop to the loo, Of course we wanted to look after our own baby and spend time with him but I felt so vulnerable during this time and hated going off to eat or express milk alone. Leaving him to sleep at night was horrible too. I’d stay as late as I could and be back as early as I could manage in the morning. Dave and I were constantly exhausted with dry mouths and headaches, but we needed to be with him. I struggled with trying to breastfeed Danny, tube feed him and express milk. 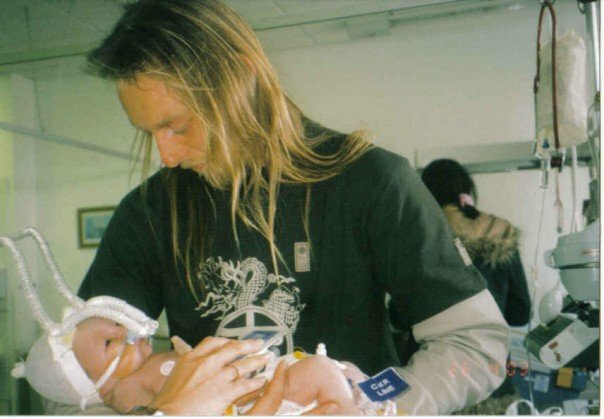 Dave and a kind nurse eventually convinced me that it was okay to allow him to bottle feed if that was best for all of us and it was for the situation we were in, but it wasn’t easy for me to stop and I still feel guilt over this. Once fully bottle and tube fed, Danny thrived. Dave learnt how to tube feed him and then taught me so we would be allowed to care for him at home. Eventually there was talk of us being allowed to take Danny home! As we were so far from home we were officially discharged but allowed to stay until we had arranged a lift home. I remember they lent us an old pram to take him out for the day. I felt as if we were playing at being parents! While we were on the ward we had more visitors, Dave’s cousin Paul and his wife Helen. They lived nearby so offered us any help we might possibly need for which we were very grateful. My Aunt and Uncle also came to visit us as they were staying nearby in their caravan. It was lovely to be thought of, even when we were far from home. Dave’s Uncle Phillip kindly offered to come and pick us up from Birmingham so arrangements could be made for us to come home- thank you so much for getting us home safely- and carrying that huge Gorilla out of the hospital! Poor Danny it was such a long way for him to travel after a big operation, I really worried for him, but he was absolutely fine. Eventually we were home and staying with my mum. At one point we were going to stay in our local hospital for a few days but instead we were fully discharged and told to ring Birmingham if we had any problems. For the first few days we did need to ring for medical matters most days and I honestly thought we would always have to. Everyone was there to welcome us with helium balloons which Danny loved to look at. Thank you for our warm welcome home. At home we had great support from our midwives, including Pam James and our amazing Health Visitor Cath Myatt (who went on to become the Health Visitor for all the kids until her retirement). She came to see Danny daily for the first few weeks and helped us so much, what she didn’t know she looked up and she always went above and beyond her role. Cath put us in contact with another family, in a huge coincidence another local little boy was about to be born, weeks after Danny. Thanks to Becca and Jakob for being able to swap stories and tips over the years- it was also handy for our CLN as she could travel down once to see both of them. We also had community nurses to help with the tube feeding and a dietitian. We also saw a Cardiac Social Worker at the beginning who made sure we were aware of all the help we could access. She was from Scotland, now living in Cardiff, but knew my Spanish teacher from school- it’s a small world! We are so grateful for all this help. Danny also had a key worker for a while – Theresa – who was also an amazing support- thank you! Al kindly bought Danny this monkey. He became part of Danny’s heart journey. 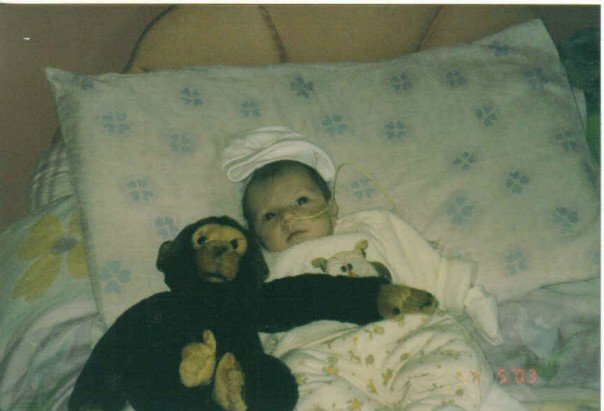 Everything that Danny went through during subsequent hospital visits, Monkey went through too. We’d always pack him, make him a hospital band and cannulas, plasters and bandages to help Danny process what he was going through. As Danny grew older Monkey was packed for Beavers, Cubs, Scouts and School trips. He’s still around to this day- 16 years old! Thanks Al, we’re forever grateful for Monkey! Little Hearts Matter had already helped us so much so we wanted to fund-raise for them to say thank you. I saw that they were meeting up to run a 5K in Birmingham so my sisters and I signed up too. We were very lucky that local newspaper, the Milford Mercury got behind us and we had so many donations from old friends and new and people we had never met before. Thanks to Lee Day for always highlighting Danny’s heart journey and story so sensitively- we’re very grateful. As a result of this my old Junior School, Milford Haven Junior School, even collected their Harvest money for Little Hearts Matter which really meant a lot to me all those years after I had left school- thank you! Coastlands School, where I worked also chose LHM for their Charity of the Year -thank you to all staff and pupils involved! Some of my old pupils still come up and talk to me about this when they see me all these years later and they always ask how Danny is today and that means a lot. Sorry I can’t believe I have wrote so many words and I’m only up to thanking people involved in Danny’s first few months of life! That shows how lucky we have been over the years, there are still so many people I haven’t mentioned. So to speed things up a bit! Thanks to all family and friends involved in our lives over the years, we are so lucky! Regarding clubs, thanks to Pembrokeshire Special Needs Gymnastics Club, Milford Haven Sea Scouts Beavers, Cubs and Scouts and Milford Haven Youth Services who have been there for Danny in the past. In school, special thanks to Mrs Vaughan and Mrs Williams. Danny didn’t have a great start to school, with hindsight I would have delayed his start after all he’d been through, but I wasn’t to know at the time. The nursery and reception staff were there for him after his third operation. Thank you so much to Mrs Ormond, his one to one for many years during the infants. At Juniors, thanks to Mr Lloyd for always seeing the best in him and realising how he was was persevering and for Mrs South and Miss Marchant for all they did for him- it is much appreciated. Generally school is hard for children like Danny. One problem is he looks so well so teachers really don’t understand how serious their condition is. Thanks to Caroline for coming to Cardiff to visit a poorly Danny and cheering him up with her bike helmet! We won’t mention the proposal! Thanks to the Buff Club for also raising donating money to Little Hearts Matter and mum’s boss Kevin from Victoria Place (now MT Polo). Thank you to #TeamBirmingham and #TeamMilford for the amazing support during Danny’s most recent heart op- all of the usual crew plus an added Lexy! Thank you to Ali and all the bands who went on to help us raise money for Little Hearts Matter- along with Dave and his band of course- thanks Dave, Al, Kev, Cloud and Mark. Also thanks to B*Movie Heroes and even Danny’s namesake, Mr Danny McCormack himself for their support too. Also thank to Dr Dirk Wilson, who was Danny’s Cardiac Consultant for many years and to Dr Narayan who has been his Paediatrician since birth. Thanks to his previous Cardiac Liaison Nurse, Wendy Williams and current transition CLN, Ann Jermyn, As he turns 16, Danny will move into adult services so we will meet a lot of new faces. Once again, I’m sorry that I’ve left out more people than I’ve included. Thanks so much to Danny’s current friendship group who know him well and understand his condition but most of all, see Danny for, well being Danny- he really appreciates that. As you can see we have so many people who have been a huge part of Danny’s life so far to thank. After he was born out friend Harpo said, “He has half a heart but all our love!” and that always stayed with me. Thanks so much to Harpo, Trudy and also Dean too! Most of all we’d like to thank Little Hearts Matter. 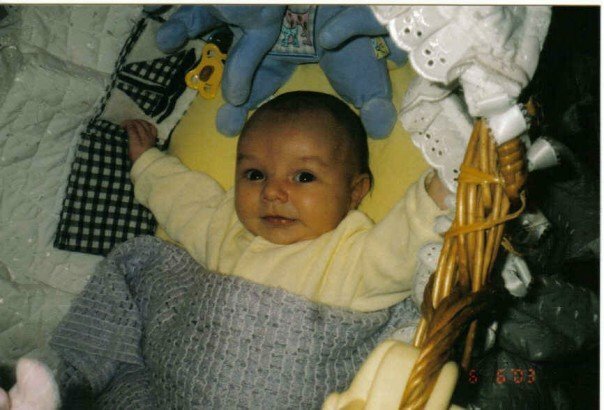 In celebration of Danny’s amazing 16 years of life, we’d love to raise money for Little Hearts Matter to in some small way thank them. People often tell us that we’re amazing parents for going through this but we’re really not. We’ve done what anyone in this situation would do- just got on with it for their baby and child. Hypoplastic Left Heart Syndrome doesn’t just happen to special or amazing families. It can happen to anyone and more and more babies are born every year with this condition needed Little Hearts Matter’s support. If you’ve managed to read this far (phew!) then a huge thank you to you! I hope it raises awareness of our heart story and other children and adults living with half a heart. Great post. It’s so good to read about all the people who helped you. Having a seriously ill child is a really hard thing to deal with, but it helps if you have a good support network.